Excessive force is generally defined as force used by a law enforcement officer that is beyond what a reasonable and prudent law enforcement officer would use under the circumstances. Excessive force or police brutality claims can involve injuries sustained after the police officer used a choke hold, taser, baton, or firearm. The person injured by the excessive force may have both a personal injury claim and a civil rights claim. Additionally, if the individual was charged with a crime, the individual may have a criminal case pending as well. In many cases, the criminal charges must be resolved before a civil rights claim can be initiated. 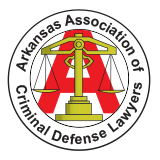 Contact an attorney for excessive force cases in Arkansas to discuss the particular facts of your case. National Police Accountability Project - The NPAP is a project of the National Lawyers Guild to help attorneys devoted to ending police misconduct by assisting its members with training and support, educating the public, and coordinated legal action.